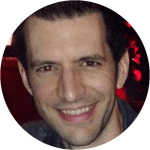 Paul Sisolak is a freelance writer who covers a wide range of topics, including personal finance, automotive reviews, travel, news and trends, entertainment and education. He has an extensive journalistic background, where he's written and reported for several print and online publications, including U.S. News & World Report, Business Insider, Huffington Post, CNN Money, StudentLoanHero.com, and GOBankingRates.com. What Happens When You Submit a Complaint to the Better Business Bureau? Filing a complaint with the Better Business Bureau is straightforward, but what happens next? DealNews got the scoop on how customer complaints are filed, mediated, and ultimately resolved. Our money is never truly safe anywhere. Luckily, there are ways to protect your money when traveling at home or abroad. Consider these seven tips to keep your credit cards and personal finances secure the next time you go adventuring. Filing a complaint with the Better Business Bureau is straightforward, but what happens next? DealNews spoke with an anonymous source inside the BBB who gave us the scoop on how customer complaints are filed, mediated, and ultimately resolved. Right up until the 2000s, all you needed was a modestly sized TV with cathode ray tubes, a perfectly square screen, and a plug in the back for your VCR. But times have changed, and we're here to help you sort through the jargon and find the right set for your needs. The 2017 Golden Globes are coming up on Sunday. Want to brush up on the movies and TV shows that are contending for the big awards? We've compiled this viewing resource so you can know where to watch some of this year's nominees. Products sold on infomercials often look great at 3 am, and are junk in person. But a few of these kitchen, automotive, and household items really are useful — and available at low, low prices! Samsung's line of Galaxy accessories is as performance-oriented and aesthetically pleasing as the smartphones themselves. Here's a look at some of the Galaxy S7 and S7 Edge accessories you should consider picking up. The best password apps can help you generate passwords, log in automatically, or even work to catch breaches! Here are six of our picks for the top password manager apps, ranging in price from free to cheap.